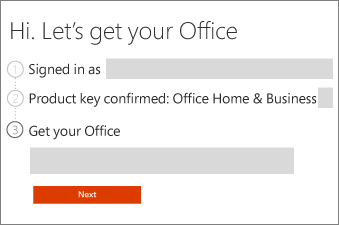 Redeeming your product key on Office.com/setup is a one-time process that adds your new Office product to your Microsoft account on your Services & subscriptions page. We'll help you redeem your key for a new Office product or renewal. In many cases, you don't need a key to reinstall Office. Check this list of error messages for troubleshooting tips. 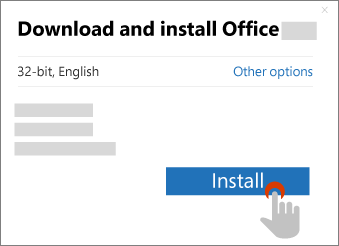 Select the link below to install, reinstall, transfer, or move an Office product. Click to select your Office product below. 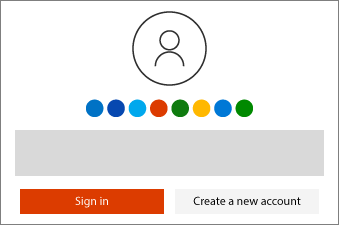 On Office.com/setup, sign in using your Microsoft account, or create a new one. You'll see your name if we detect your Microsoft account automatically. 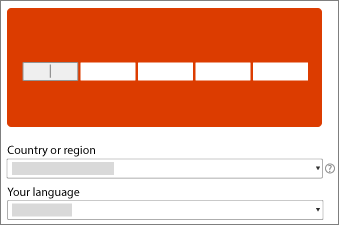 Enter your product key (if prompted), select your country or region, and select your language. I see "This product key has already been used"
For uninterrupted service, provide payment info for recurring billing. Now you're ready to install Office. If you bought multiple keys, repeat Steps 1-3 for each key to extend your subscription for up to 5 years. Select Next to finish the redemption process. Now you're ready to install Office. If you bought multiple keys, repeat Steps 1-3 for each key. Use these steps to install, reinstall, transfer, or move an Office product. 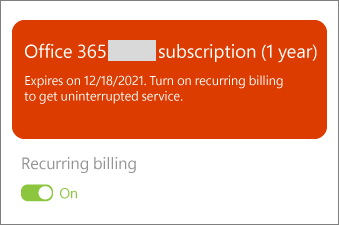 Go to the Microsoft account, Services & subscriptions page and sign in using your Microsoft account. Select Install for your Office product. Select the options you want (such as 64-bit and language), and then select Install. Office 365 Home subscribers can share Office family and friends. You can install Office on your mobile phones and tablets as well. 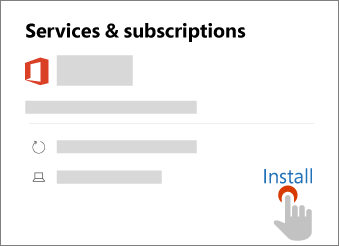 Sign in to view the Microsoft account, Services & subscriptions page to see if your Office product has already been added to your Microsoft account. If it has, you don't need a product key to install Office. If you bought your Office product online from the Microsoft Store, be sure to sign in using the Microsoft account you used to buy your Office product. 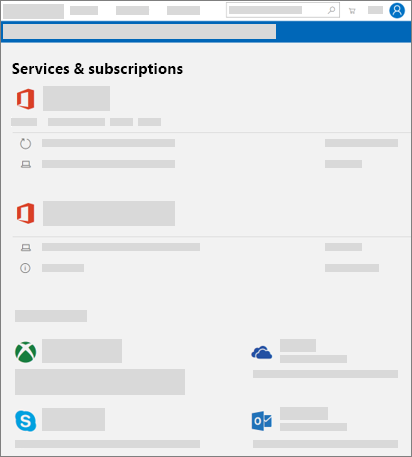 For help with product keys, see Using product keys with Office. If you see a message that your product key has already been used, this means your key has already been redeemed and you can go directly to your Microsoft account, Services & subscriptions page to install Office.